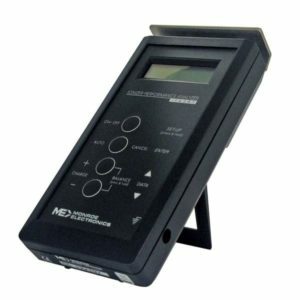 The PGT120.COM personnel grounding tester takes quick and accurate resistance measurements of the ESD grounding products with the ability to integrate with a computer to store test data. Access to this information is valuable to your quality program. 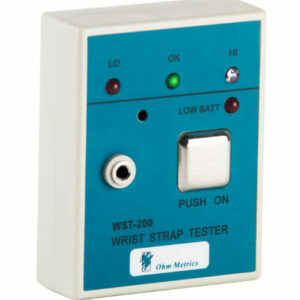 The unit operates with 3 independent measuring circuits for the left shoe, the right shoe and the wrist strap. The shoes can even be measured in a hands free mode which means that the staff members are tested automatically when standing on the plate. PGT120.COM can be connected to an automatic door opening system which allows entry with only passing results. 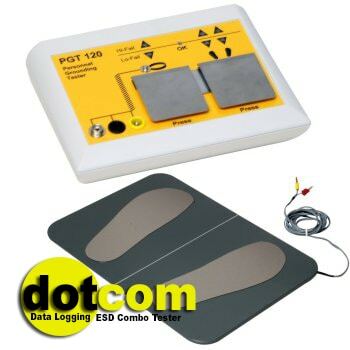 The PGT120.COM is supplied complete with footwear testing electrode, flexible cord, transformer with power cord and calibration protocol. 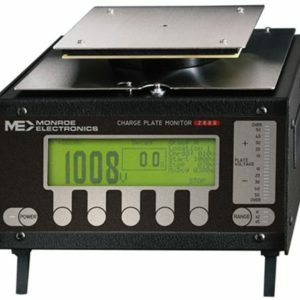 Recommended calibration interval is 24 month Corresponding wall mounting plate, and electrode anti-fatigue mat is sold separately. Pair the unit with the PGT120.COM Data Terminal and you receive real-time ESD testing with personnel identification, access control and central data maintenance. 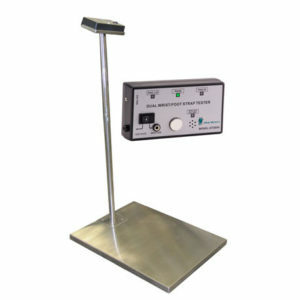 Also connect to a number of accessories such as a label printer, bar code scanner, RFID, database server and much more.